Just going through my statistics here to find out what my most popular posts this year were. It’s interesting to see what people found interesting here. I expected this one to be popular, people like quotes. It was fun locating relevant quotes and then designing the graphics. Another one that didn’t surprise me much. With the popularity of apps, sharing ones that help people be a little more eco friendly was a natural. Is Citric Acid an Eco Friendly Cleaner? Citric acid is a new favorite cleaner of mine. I don’t know that it’s perfect solution for eco friendly cleaning, but it’s really safe to use around the kids, and pretty effective. I’m actually pretty fond of leftover turkey. You can use it up so many ways, making it a very affordable meat. My son loves soccer. It’s great for getting kids out and exercising. The snacks for after games can be a little wasteful and unhealthy. There’s HOW Much Arsenic in Rice?? Another interesting one to write. Rice can be fairly healthy, properly prepared (especially if you avoid white rice), but it has its problems too. It’s Time For Back to School! 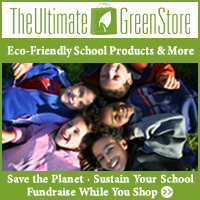 Do You Have Green School Supplies? Back to school shopping takes so much work. A little extra effort is required to make them a little more eco friendly while sticking to what the teacher says your child needs. I was sent this book to review, and the post was fairly popular. I’d call that a good deal overall.